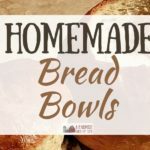 While I’ve got a lot of recipes that I consider my easy go-to bread recipes, sometimes I’m craving a treat. Something slightly more time consuming but oh-my-word so amazing. When that happens, I know it’s a day I’ll be hanging out in the kitchen to make homemade soft pretzels. While homemade soft pretzels aren’t the most complicated thing in the world, they do require a bit more attention than a loaf of bread. That’s because like homemade bagels, the secret to excellent soft pretzels is a dip in boiling water after the shaped dough has risen. If you skip that part, you’re not gonna have awesome homemade soft pretzels. Trust me. Let’s get to it, shall we? I can hear your tummy rumbling, so let’s figure out how to make these. It’s amazing how so many bread recipes start out with the same basic thing isn’t it? For these homemade soft pretzels, you’re going to combine the yeast, warm water, and sugar and let it sit until it gets nice and foamy. When your yeast mixture gets foamy, stir in the first cup of flour. When that is well combined, then stir in the 4 cups of flour that has 1 Tbsp of salt mixed in. When that’s all mixed up, dump your dough out onto a floured surface and knead until the dough is smooth. You may need to add a little more flour while you’re kneading if the dough gets sticky. After rising, punch it down and gently knead it for 10-15 more seconds. Divide the dough into 16 pieces and let it sit for 10-15 minutes. Now it’s time to make ropes with those 16 pieces. And if you’re being all rushy rushy and didn’t let them sit, you’re going to find they don’t want to want to stay in long ropes and they will keep shrinking. So make sure you let them have that time to rest. If you’re having trouble with the ropes sliding across the counter instead of “rolling” under your fingers/palms, try putting a very little bit of lard or oil on your hands. It can make the dough just sticky enough that it will grab the counter/your hands and roll instead of sliding across the top of the counter or table. After you have 16 ropes (each at least 12″ long) it’s time to twist those babies into a pretzel shape. Here’s how you do that. Step 1. Take one rope and make an upside down U or a horseshoe. Step 2. Put one leg over the other. Step 3. Twist the legs one more time. Step 4. Bring the bottom of the twisted legs up to the top of the pretzel and pinch them a bit into the pretzel to seal. Look at you, shapin’ the pretzels! Good job! Now place all these shaped pretzels on a greased cookie sheet or jelly roll pan and let them rise about 15 more minutes. Remember when I mentioned above about the trick to getting excellent soft pretzels? Yes. Good student. So while your little pretzels are doing another short rise, you need to get a pot of water boiling. When your water is boiling, carefully drop 4 risen bagels into the boiling water and let them sit in the water for one minute. Fish them out again. I usually let them drain for a few seconds on a drying rack in my sink, but you certainly don’t have to do this. You can just put them back on the greased pan they rose on, but I don’t like all that water. When all pretzels have been boiled, combine one egg and a little bit of water and brush each pretzel with an egg wash. This is what helps the pretzels to get nice and shiny. Then sprinkle the pretzels with coarse salt. It’s like glitter, baby. Bake your pretzels at 450 for 15-20 minutes. Don’t they look amazing? Of course they do. And they taste amazing, too. Now go have yourself a treat. Share your treat with others if you’d like. Note: Some people find this recipe to be pretty salty. And I’ll admit, if you don’t have cheese sauce or something to dip these in, they might be a little on the salty side. If salt is a concern, either cut the salt in the dough recipe in half, or don’t be quite as liberal with your glittery coarse salt as I am. Craving a homemade special treat? Homemade soft pretzels will fit the bill! Combine the yeast, warm water, and sugar and let it sit until it gets nice and foamy. Stir in the first cup of flour. When that is well combined, then stir in the 4 cups of flour that has 1 Tbsp of salt mixed in. Dump dough out onto a floured surface and knead until the dough is smooth. You may need to add a little more flour while you’re kneading if the dough gets sticky. Place dough in a greased bowl and let it rise (covered) for one hour. Drop each raised pretzel into a pot of boiling water for one minute, then place back on greased pan. Brush with egg wash and sprinkle with coarse salt. Oh man, I love soft pretzels but so rarely eat them. This recipe looks nice and easy. I’m definitely going to give these a try.